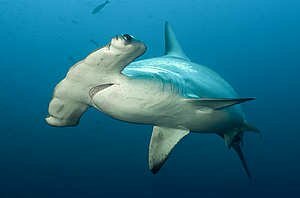 The study reports the Great Hammerhead (Sphyrna mokarran) and Scalloped Hammerhead (Sphyrna lewini) sharks, as well as Giant Devil Rays (Mobula mobular), as globally Endangered and facing a very high risk of extinction in the wild. Smooth Hammerheads (Sphyrna zygaena), Great White (Carcharodon carcharias), Basking (Cetorhinus maximus), Oceanic Whitetip (Carcharhinus longimanus), two species of Mako (Isurus spp.) and three species of Thresher (Alopias spp.) sharks are classed as globally Vulnerable to extinction ( facing a high risk of extinction in the wild). Sharks are particularly sensitive to overfishing due to their tendency to take many years to mature and have relatively few young. In most cases, pelagic shark catches are unregulated or unsustainable. The IUCN Shark Specialist Group is calling on governments to set catch limits for sharks and rays based on scientific advice and the precautionary approach. It further urges governments to fully protect Critically Endangered and Endangered species of sharks and rays, ensure an end to shark finning and improve the monitoring of fisheries taking sharks and rays. volunteer scientists in more than 160 countries. University of Michigan scientists say this year's Gulf of Mexico "dead zone" could be one of the largest on record, continuing a decades-long trend. Most likely, this summer's Gulf dead zone will blanket about 7,980 square miles, roughly the same size as last year's zone, ecologist Donald Scavia said. That would put the years 2009, 2008 and 2001 in a virtual tie for second place on the list of the largest Gulf dead zones. The Gulf dead zone forms each spring and summer off the Louisiana and Texas coast when oxygen levels drop too low to support most life in bottom and near-bottom waters. Farmland runoff containing fertilizers and livestock waste—some of it from as far away as the Corn Belt—is the main source of the nitrogen and phosphorus that cause the Gulf of Mexico dead zone. Each year in late spring and summer, these nutrients make their way down the Mississippi River and into the Gulf, fueling explosive algae blooms there. When the algae die and sink, bottom-dwelling bacteria decompose the organic matter, consuming oxygen in the process. The result is an oxygen-starved region in bottom and near-bottom waters: the dead zone. The official size of the 2009 hypoxic zone will be announced following a NOAA-supported monitoring survey led by the Louisiana Universities Marine Consortium on July 18-26. In addition, NOAA's Southeast Area Monitoring and Assessment Program's (SEAMAP) is currently providing near real-time data on the hypoxic zone during a five-week summer fish survey in the northern Gulf of Mexico. A female French tourist was attacked and killed by a shark while snorkelling at the Saint John's reefs in the Red Sea. The first fatal shark attack in Egypt for five years. The shark was an oceanic white tip. 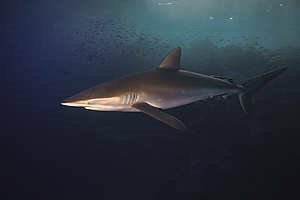 Although inexperienced divers sometimes confuse it with the white tip reef shark, the oceanic shark is much bigger, stockier and often accompanied by pilot fish. Whereas the reef shark is no threat to divers, the oceanic white tip is one to be wary of and treated with respect. 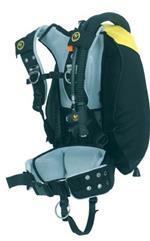 It is almost fearless and credited with many open-ocean attacks on people after air or sea disasters. Saint John's is in the Southern Egyptian Red Sea. It is a popular destination for divers, a place where you often see large pelagic species. 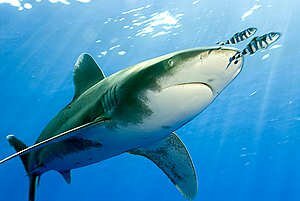 If you should encounter a oceanic white tip it is advisable to stay close to the reef and not to make any sudden movements.